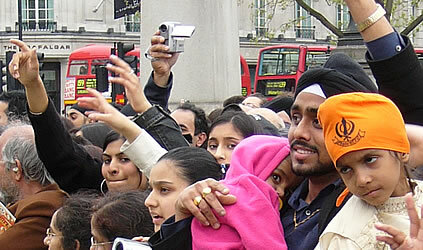 In 2015 there will be a free event Vaisakhi at City Hall celebrating Sikh heritage, history and culture from 12 noon to 5pm on Saturday 11 April 2015 at City Hall and The Scoop, More London (near Tower Bridge, on the South Bank). 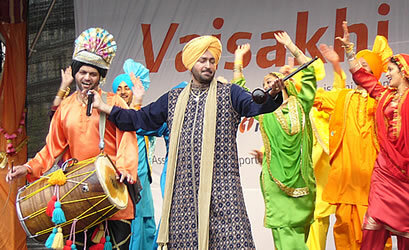 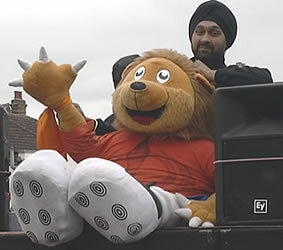 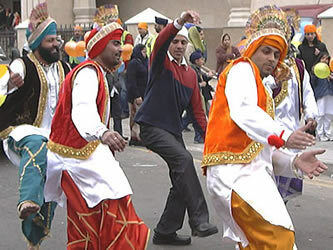 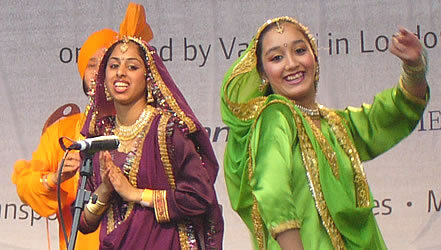 There is a street festival organised by the Sikh community in Southall (map) about a week before the religious day known as Vaisakhi (sometimes spelt Baisakhi). 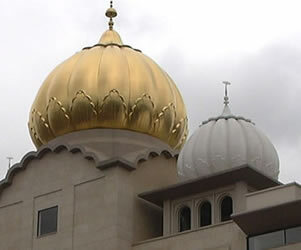 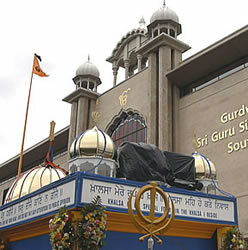 The Sri Guru Singh Sabha gurdwara was opened in Southall at the end of March 2003: this is the largest gurdwara outside India. 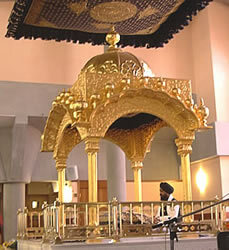 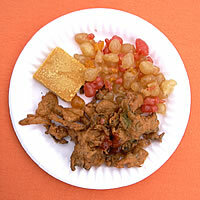 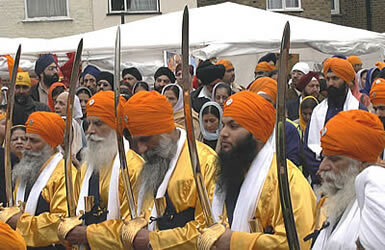 Many people visit the gurdwara in the morning, before watching the street procession in the afternoon. 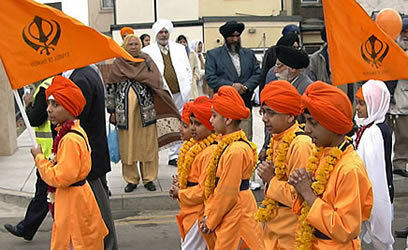 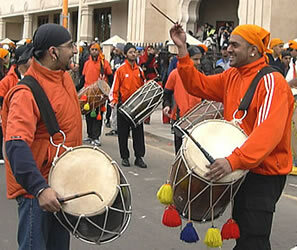 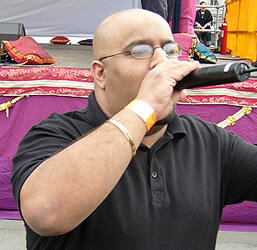 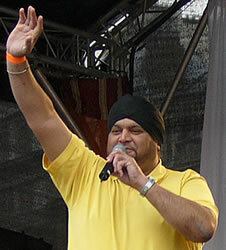 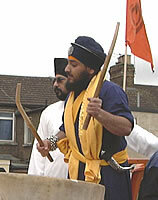 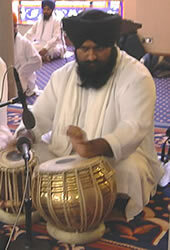 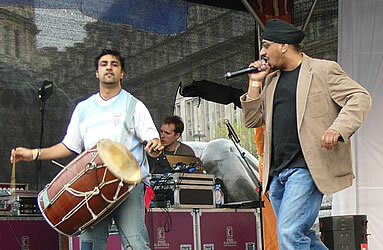 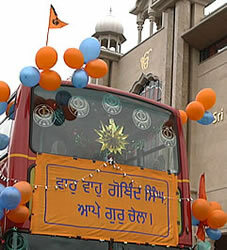 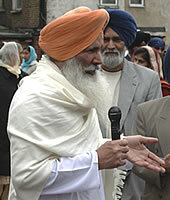 The photos below were taken in Southall in 2003. 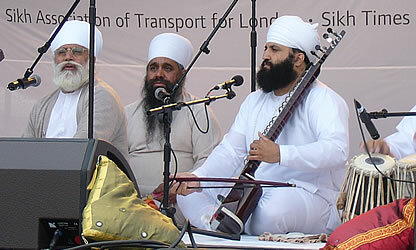 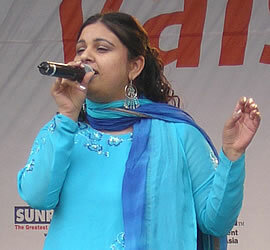 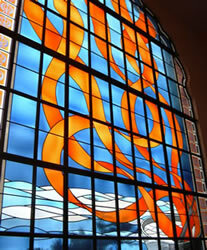 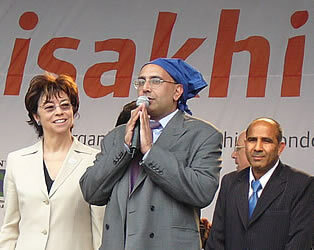 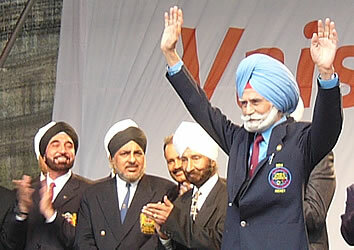 In 2010 this event took place on Sunday 11 April.